In January, we give the ewes a booster shot to prevent overeating diseases, and we check their bellies and udders to assess how close they are to having lambs. With hand shears, we cut away some of the wool that can make the udder hard for baby lambs to find. This year, we noted that a few ewes were observed consorting with Robert in early and mid October. Add five months and you can predict that lambs will arrive in March. Sure enough, they did: all but one arrived within 10 days of each other, then there was a gap of about three weeks until the very last baby was born to a first-time mother. We have six females and two males. All were good sized, generally over 10 lbs. 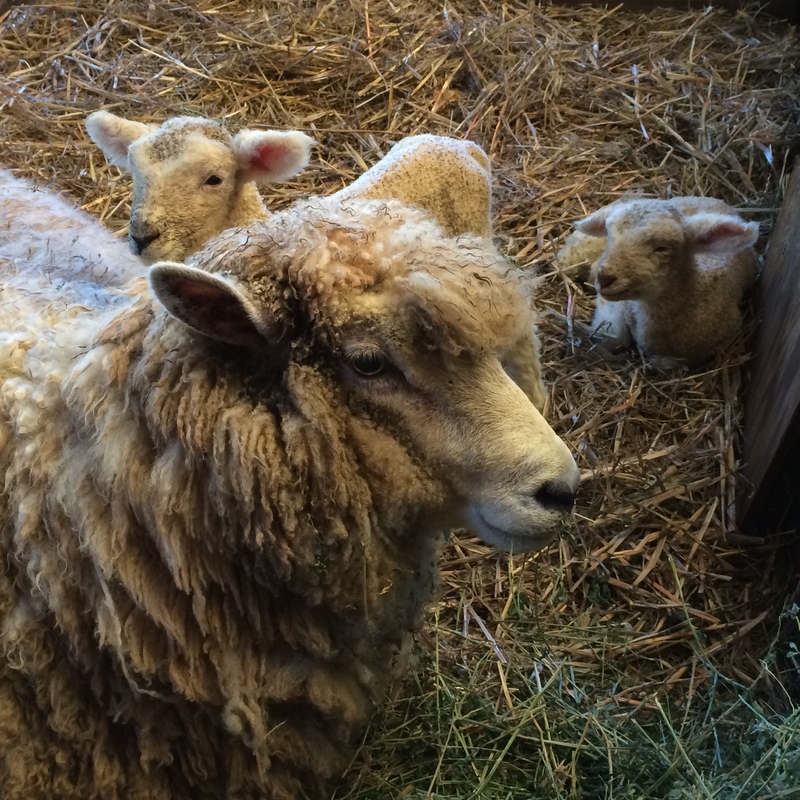 However, we lost two big, apparently healthy lambs during the birth process. Most likely they got stuck and the cord was pinched. Life on the farm definitely has its ups and downs. 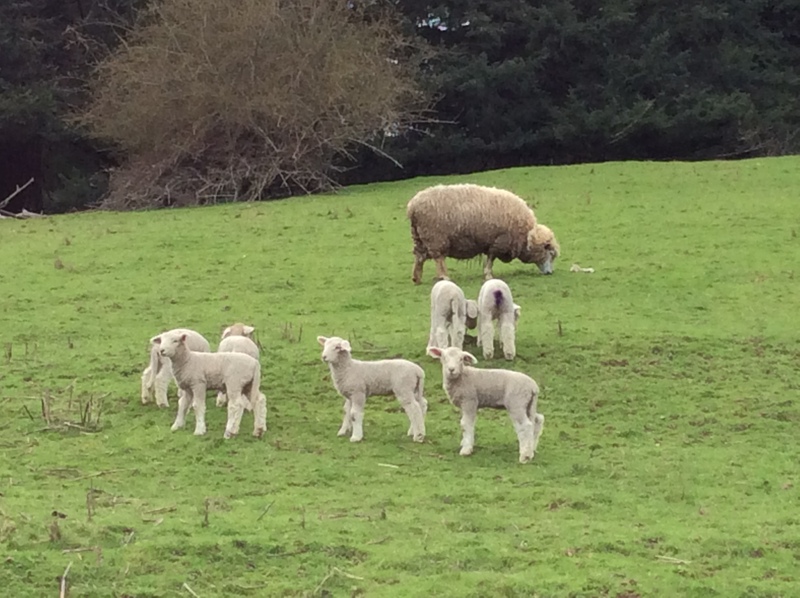 A pack of lambs with a watchful ewe nearby. 2-3 weeks old.